Artist, writer, veteran, musician, martial-artist, Larry Hama is best known as the writer behind the G.I. Joe comics. 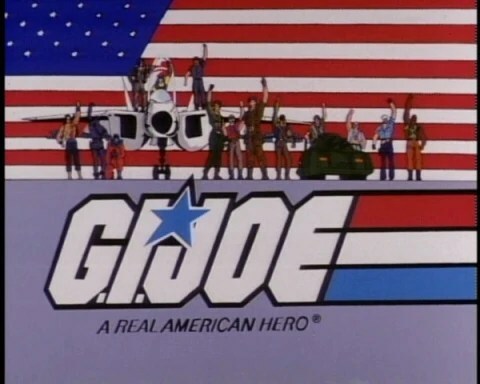 If you consider the influence of that single property, Larry Hama’s work has impacted and inspired an entire generation of Americans. Don’t believe me? Do you like ninjas? Watch this short doc, available on The Splitting Image website, and learn a bit about the man who made you love ninjas and America. Marvel took to Times Square to announce their new year-long “event,” a rehashing, I mean, relaunching of Secret Wars, by Hickman and Ribic. Just a couple months after Mark Waid makes fun of DC’s Future’s End for copying Days of Future Past, Marvel seems to be making their own version of Crisis on Infinite Earths. 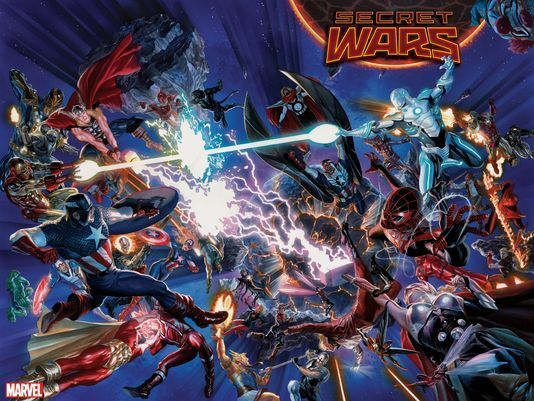 How many Thors and Captain Americas are in the above illustration? I see the Daredevil from Gaiman’s Marvel 1602. Who else do you see? Not only is this hero vs. hero crap the reason why I can’t read X-Men anymore, but I think the multiverse is getting to be as tired and overused in comics as time travel. In comics, time travel and multiverse hopping actually happens more than those well-worn “gimmicks” of characters having a baby or getting married. As happens with so many project goals, Life has other plans. I started this 40 Day Graphic Novel because a few film projects got stalled, and I wanted to make good use of the time. But when some unscheduled writing assignments came up, well, my solo project didn’t really take precedence. Final score: on Day 41 I have 45 pages of line art, not a bad start to a 90-page work. If my schedule goes as expected (which, again, they never do) I ought to have a complete work in Spring of next year. Thanks for checking out my mini comic marathon. Sorry I didn’t update more, but that other work was taking up the time. Please check out my first graphic novel MetaMorphosis, now in a tangle print format! You are currently viewing the archives for October, 2014 at Princess Revolver Media, LLC.